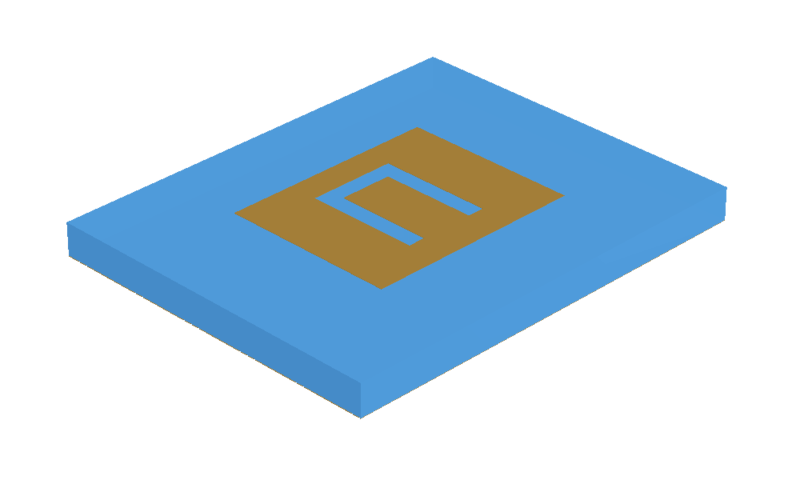 Image of the Pin-fed rectangular patch with U-slot. 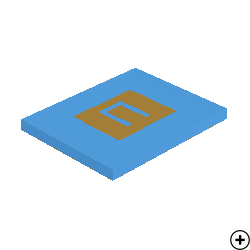 Rectangular patch antennas are widely used in various industries because of their simplicity and cost-effectiveness. Their main drawback, however, is limited bandwidth. The U-slot patch is a good example of a simple, low-cost antenna with moderate bandwidth. The structure achieves up to 34% bandwidth by using second-, third- and fourth-order resonant modes that all contribute to the -6 dB passband. The antenna can be designed for various values of relative permittivity and still provide an adequate bandwidth for many applications. The antenna radiates a unilobe with an average gain between 7 and 9 dBi.